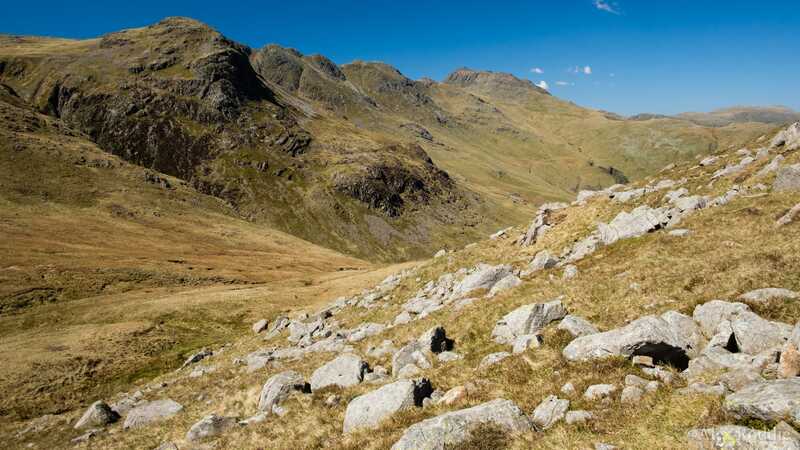 My feature on hiking the Langdale Skyline has been published by UKHillwalking in their series of UK mountain ‘ultimate challenges’. You can read my feature here. Here are some notes about the route, along with a selection of photos that didn’t appear in the main article. No matter how you slice it, the Langdale Skyline is a big day out if you’re doing it in one go. 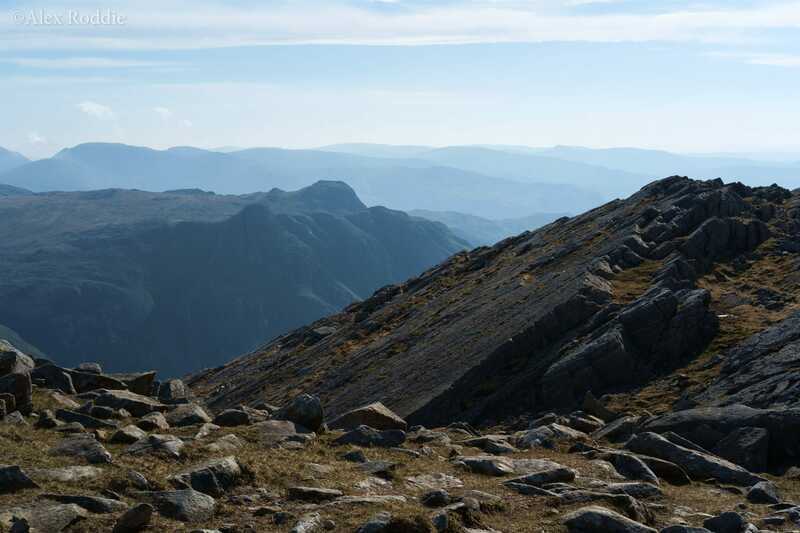 At over 19 miles long and with 2,096m of ascent overall, you’ll need to be fit to do it in a day – although benign weather and familiarity with the route will both help. 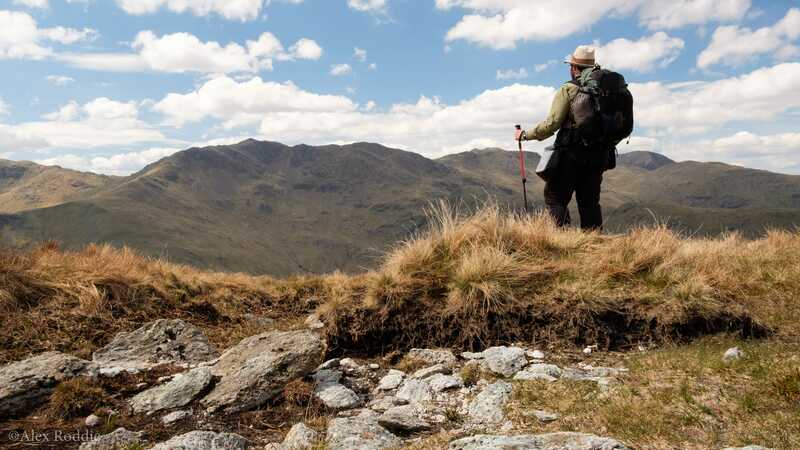 Like many Lakeland circuits, it has the advantage of rarely straying from good paths. If you know the way you’ll hardly need to glance at the map. This helps to keep the pace up. 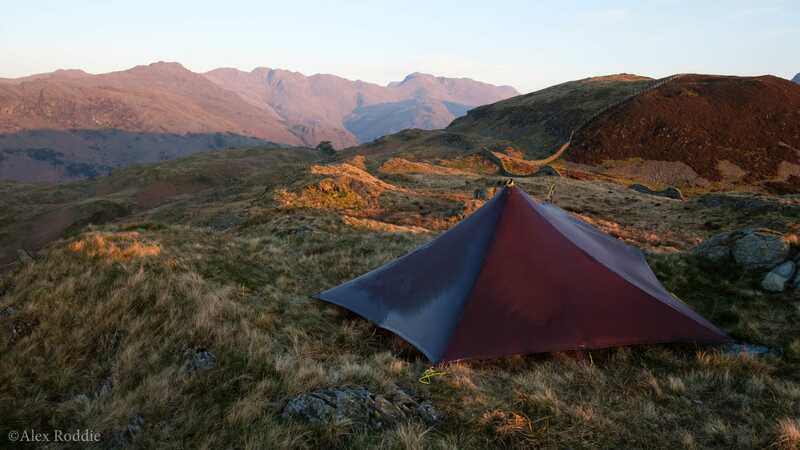 Regular readers won’t be surprised to find out that I’d always prefer to enjoy a wild camp on a route of this type. Although I’m fit enough to do it in a day, sleeping amongst the mountains is part of the experience for me: selecting a site, making it proof against the weather, and watching the sun set behind the hills. I was lucky enough to enjoy two wild camps on this route – yes, my first full day was quite a short one overall! 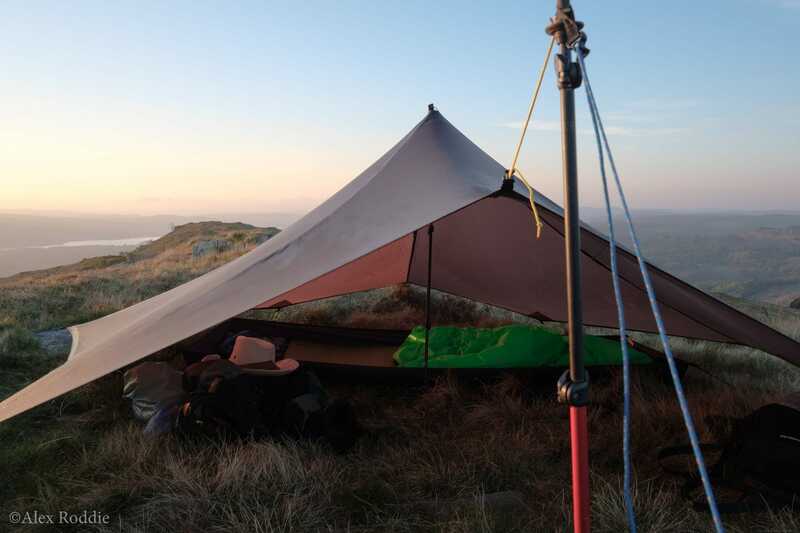 My first camp was near the summit of Lingmoor Fell after a late evening ascent. 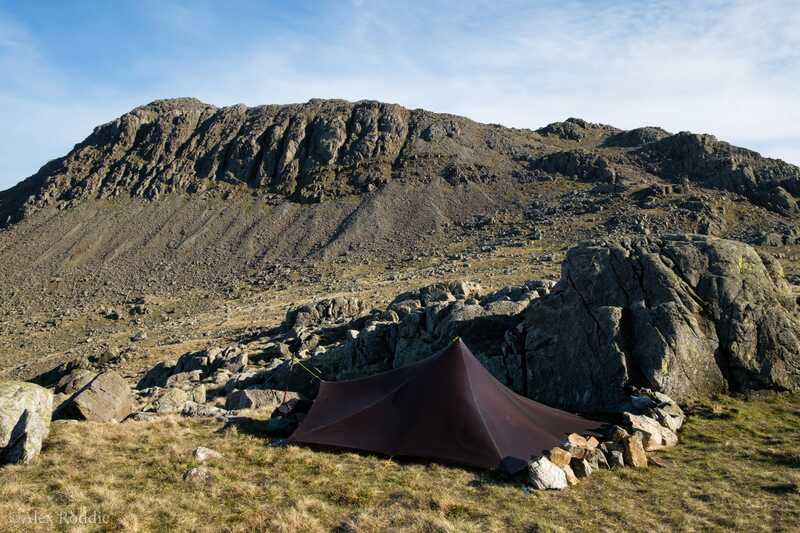 Lingmoor turned to be something of a gem for the wild camper, with a limitless array of possible pitches, all big enough for my Trailstar. I ended up selecting the one with the best view. It got windy overnight, and the wind only continued to strengthen until I was fighting a full gale at Three Tarns a few hours later. 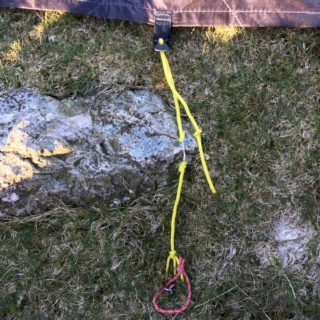 This col is an incredibly windy place to pitch a shelter! 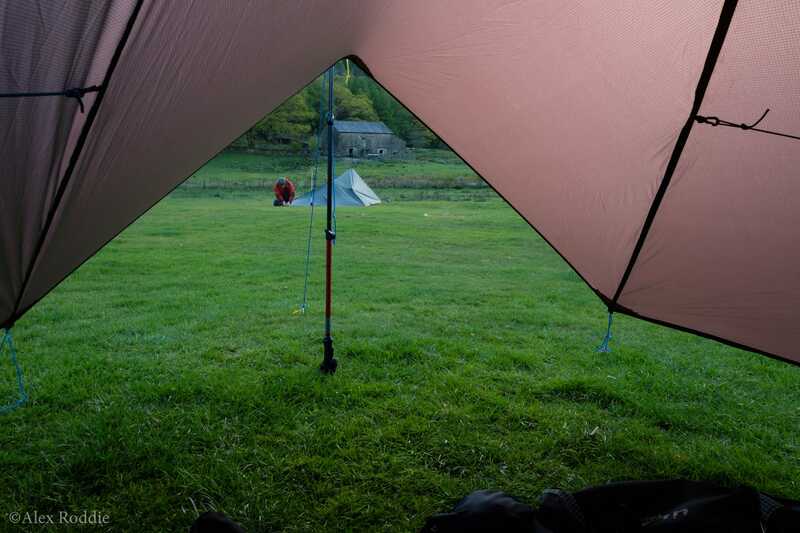 The Trailstar handled the conditions well but I would have preferred a less exposed pitch, to be honest. It was an interesting learning experience. 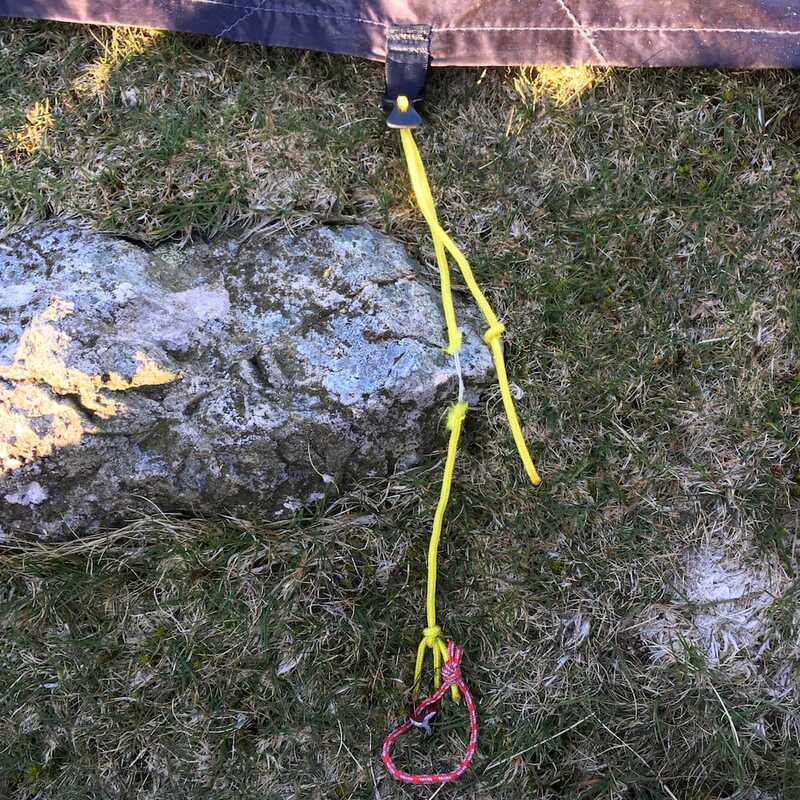 I ended up building a small stone wall around the site to keep wind out of my sleeping area, but nothing could stop those monstrous gusts deforming the rear wall of the Trailstar. I think the shelter was about at its limit for a 110cm pitch, and if the wind had been any stronger I would have dropped the pole to 90cm. In several of my pictures the shelter looks badly pitched, but that’s just because it was being squashed by massive gusts at the moment the shutter fired. The only point of damage I discovered was a severed mid-panel guyline (a schoolboy error – it was rubbing over a rock during the night!). 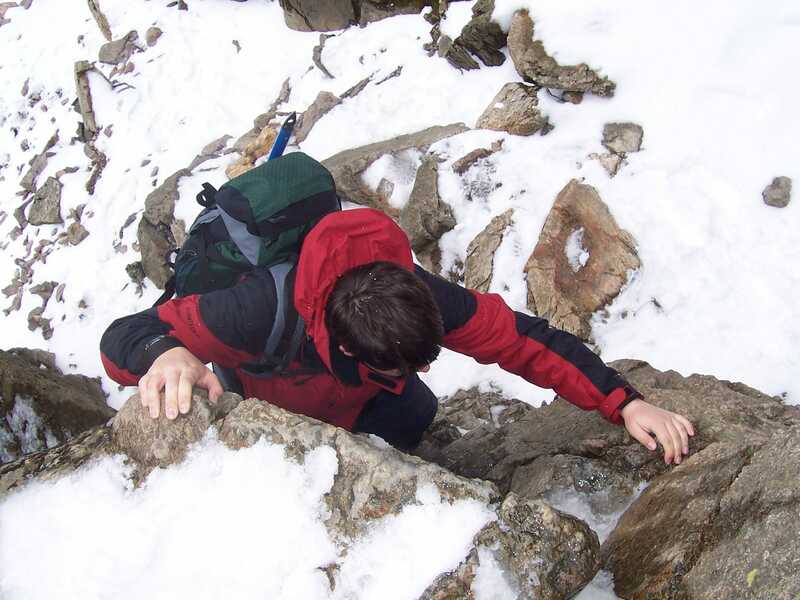 I don’t know if I was braver 11 years ago or if it’s just been too long since I did any rock climbing, but the famous Bad Step on Crinkle Crags scared the hell out of me. My most recent ascent of Crinkle Crags had been in winter conditions in 2006 and I remember breezing up this obstacle, but the holds are polished, it forces you out from the rock at an awkward angle, and in the gusty conditions I discovered that my head for heights wasn’t as good as it had been in my early twenties. I bypassed it round the side. 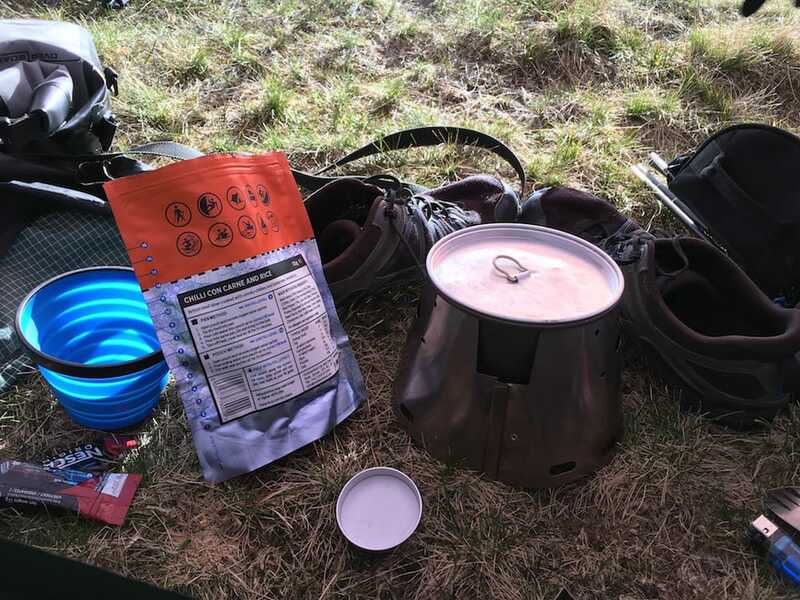 Food for this trip once again consisted of Firepot Outdoor Food, the new brand of dehydrated meals currently making waves in UK backpacking circles. Trust me when I say this: the hype is justified. They’re really tasty. Perhaps the most enjoyable part of the Langdale Skyline was the quieter, less dramatic scenery east of the Langdale Pikes, for the simple reason that it was new ground for me. 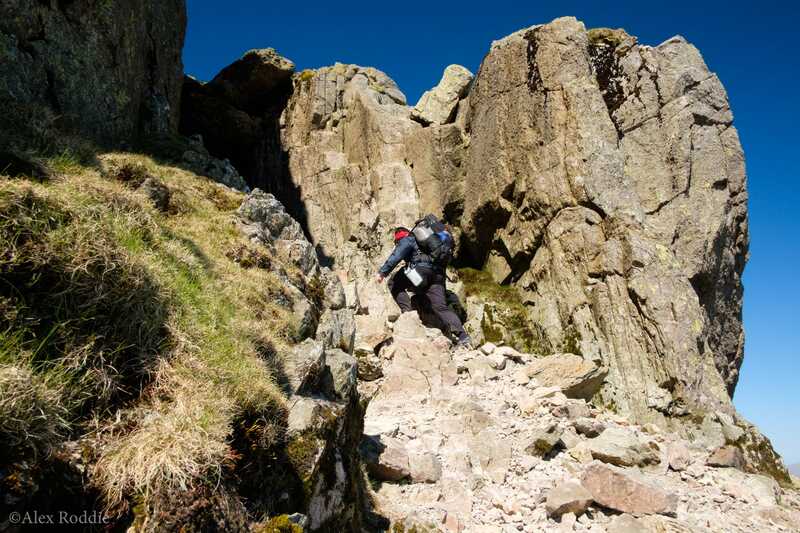 I’d climbed every other Langdale fell many times before, some as long ago as 2005 on my very first backpacking tour of the Lake District, but I’d never before trodden Blea Rigg’s delightful ridgeways. 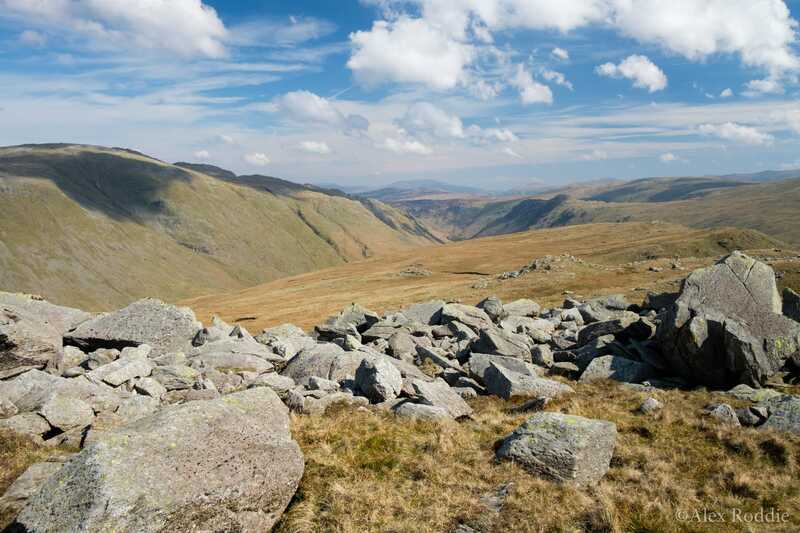 This is a place to savour, and I suspect it would make for a fantastic wild camp, but I couldn’t quite justify three wild camps on a 19-mile hike! That night I camped at Baysbrown Farm Campsite in the valley bottom, and made friends with a German hiker who planned to stay in the area for a few weeks and do some bouldering. I didn’t know anything about bouldering in Langdale, but we spent a while discussing our tarp setups. His was a large flat tarp in a complex, cave-like pitch suspended from his trekking poles and multiple guys; it would have kept rain off him very well had it rained, but didn’t do so well in the strong wind. He ended up re-pitching it twice that night before eventually striking it and cowboy camping on the grass instead. I convinced him of the Trailstar’s obvious superiority for windy, exposed UK camping, and he promised to check it out. I need to start charging Mountain Laurel Designs a commission!